Equest is dedicated to enhancing the quality of life for children and adults with diverse needs. 100 percent of clients reporting have experienced improvement since starting the program. Jonathan achieved his goal when he represented the US at the 2012 Para-Olympic Games in London receiving the best dressage score of any US rider in both the Olympic and Para-Olympics games. John progressed from beginner level to a fully independent rider, an active competitor, and barn volunteer. "I highly recommend Equest to riders, veterans, and volunteers. Whatever your involvement with Equest, it's an instant feel-good outcome for all. As a volunteer you will walk away from your first day with a renewed appreciation of the human spirit. You will be witness to the unique healing power of horses, ponies, and little donkeys, too. As a rider, you will be amazed at what can happen on top of a horse! Your confidence and abilities will truly bloom when you work with a four-legged partner. And as a veteran, your options are many. Equest is a gem at the Texas Horse Park, a few short minutes from downtown Dallas. Contact Equest to see where you may best fit in, the options are many!" "Equest is the most amazing place! The power of horses and people coming together to truly heal is beautiful. I feel so amazing any time I volunteer out here, and seeing the smiles, success, and growth of students is a blessing! Much love and respect to my Equest family!" "Wonderful mom moment today. My 16 year old twins had their first hands on experience with volunteering for a purpose. They came away with a greater understanding of love, life, patience, and understanding. In a few hours this morning they matured tremendously. I have always been proud of my kids. Today I am so very proud of them. And so happy to be their mother ❤️"
"I volunteered here at Equest all through middle school, and I absolutely loved it! I regret not volunteering during my high school years as well. Everyone here is so kind, and sweet. The horses are taken great care of, and they truly do care for each of the volunteers; but most importantly the riders. Overall a great place!" "Equest is the best thing that's happened in my life. I started volunteering about 2 years ago and my life has been changed ever since. Equest is another home for me. Everybody is so welcoming and we are one big happy family out there. Because of my volunteer work at Equest I have decided to major in equine sciences at college. I want to become an instructor and a horse trainer. Equest is amazing and my favorite place on earth :) "
"The Equest program and family has changed my life in a very meaningful way! I am thankful to God for blessing me to be a part of such a genuine group." 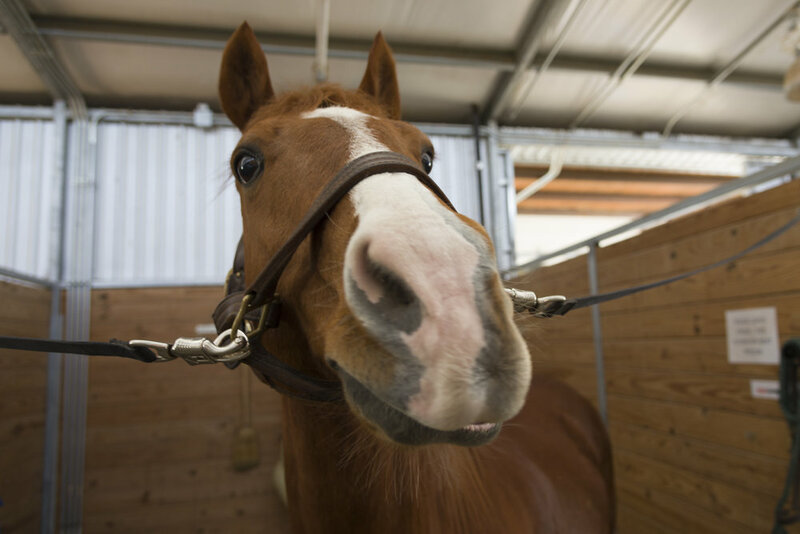 Founded in 1981, Equest Therapeutic Horsemanship was the first therapeutic riding center in Texas. 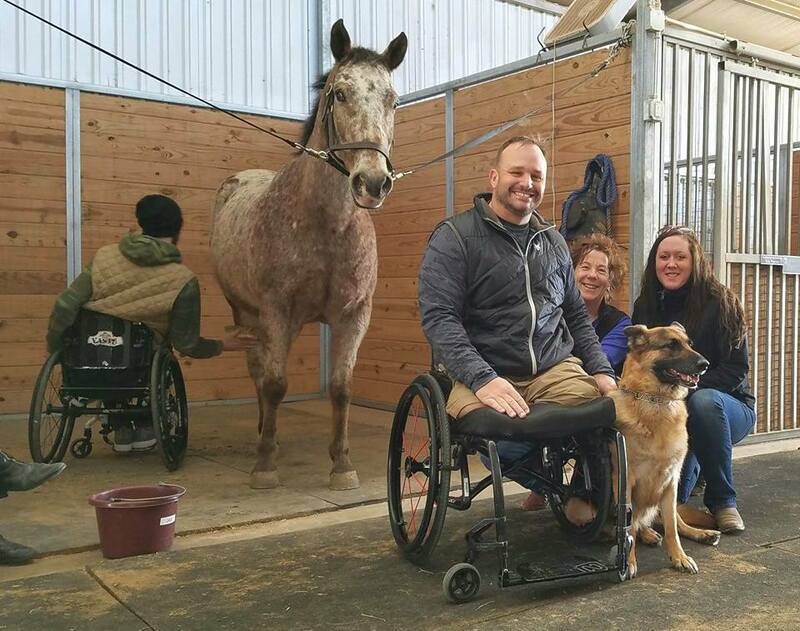 Our program quickly became an industry leader, building a solid base in the North Texas community serving thousands of clients with our unique therapy partners - our horses! 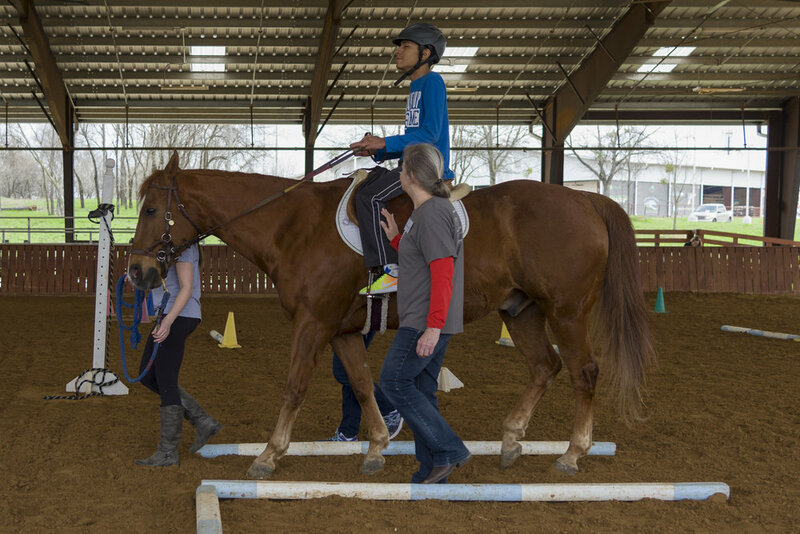 Equest provides equine facilitated activities, therapies, and counseling to children and adults with physical, cognitive, sensory, coping, social, and learning disabilities and veterans with adjustment challenges. 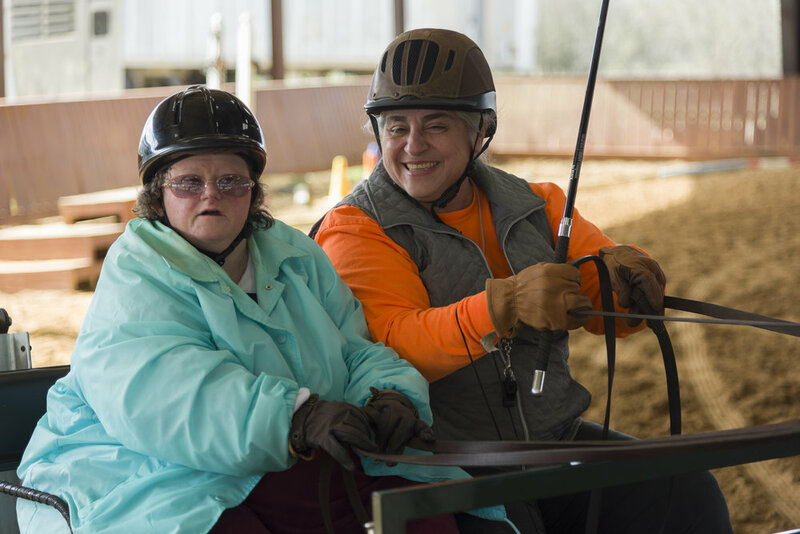 The services provided include physical and occupational therapy, equine facilitated counseling, therapeutic carriage driving, therapeutic horsemanship, and competition. Equest was the first PATH International Premier Accredited Center in Texas, and remains one of the largest in the country. Equest offers an engaging volunteer program that provides 40,000 hours of direct program service opportunities each year. Equest was named “2015 Non-Profit of the Year” by CNM Connect. When Equest began more than 37 years ago, we had five riders, two horses, one instructor and 10 volunteers. We have certainly expanded since 1981. 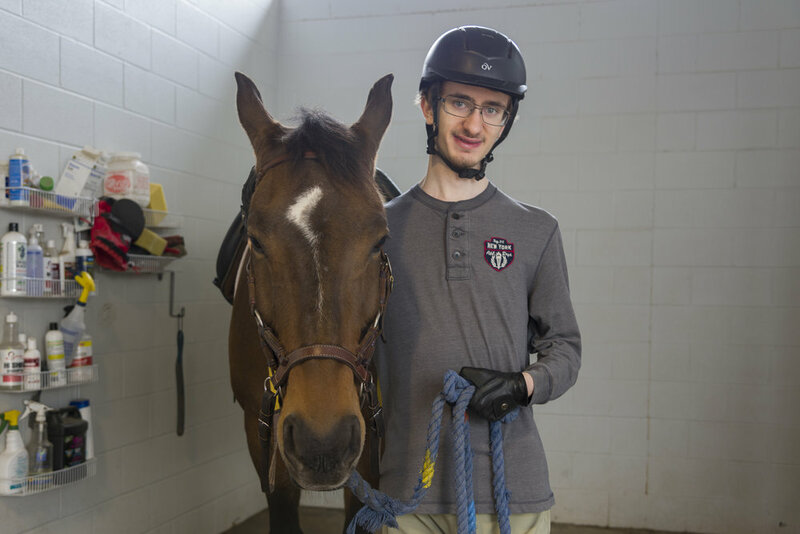 Equest now boasts 30 therapy horses, 10 instructors, three therapists, one counselor, and more than 400 volunteers; lives are changed on a daily basis for more than 2,000 clients served annually. In May of 2017 Equest consolidated to the Texas Horse Park just south of Dallas. Texas Horse Park, a city-owned 304-acre site located in the heart of the Great Trinity Forest, is just eight miles from Downtown Dallas. Equest at Texas Horse Park currently has 38 stalls, a covered arena, outdoor arena, and 6,000-square feet of administration and therapy space. It is also home to Hooves for Heroes, one of the fastest-growing services at Equest, which empowers veterans, first responders, and military families to take charge of their civilian transition, and assume new roles within the community through equine activities and therapies.